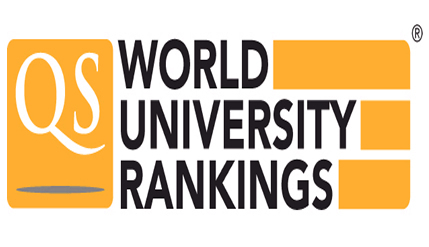 BANGI, 17 September 2014 – The National University of Malaysia (UKM) has risen ten places to the 259th position in the prestigious QS World University Ranking 2014 just released. QS Quacquarelli Symonds, the organisation that has been ranking universities in the world for a decade said UKM was ranked 269 in 2013 but this year have improved by 10 places. The five Malaysian research universities have all improved their standings in the top 400 universities of the world under the QS ranking system. Universiti Malaya (UM) is ranked at number 151 up from 167 last year, followed by UKM at 259 (against 269), Universiti Teknologi Malaysia (UTM) at 294 (355), Universiti Sains Malaysia (USM) at 309 (355) and Universiti Putra Malaysia (UPM) at 376. The criteria used by QS to rank the universities are academic reputation, employer reputation, student to faculty ratio, papers per faculty, citations per paper, internationalisation and student exchange programmes. The London-based QS Quacquarelli Symonds grades a total of 863 tertiary institutions out of over 3,000 that it evaluates. UiTM made the biggest jump, up from the 701-plus level to the 651-700 group. The International Islamic University of Malaysia (IIUM) however remained in the 501-550 tier. QS Quacquarelli Symonds said with the exception of IIUM, all the other universities had improved or remained stable in three out of the six ranking indicators.